I’ve always been a fan of the Evil Dead Series. Largely because of protagonist Bruce Campbell as well as director Sam Raimi. I have been starved for a new one since the early 90s (the last one was Evil Dead 3 or more widely known as Army of Darkness), but now I’m so glad they made another. Best part is that the masters of Evil Dead are all back to help produce the movie. So what is this all about? The Evil Dead centers around the struggle between good and evil for the Necronomicon which is the book of the dead. This book, bound in flesh and written in blood has stuff that involves raising the dead and has powerful incantations. The movies have always been known for having a very unique style of “fun” horror. It’s not the type where after watching the movie you fall into a hole of despair or grief. This is the one where you get a lot of jump scares, then are able to laugh about it after. The gruesome monsters also try to have fun when they scare the protagonists. And you can see that in their expressions. they are doing those scares for a purpose which is probably for their own enjoyment instead of “just for the heck of it”. Evil Dead started out as being a B movie back in the early 80s. It had such a small budget and it was obvious when you see the effects. But the genius of the directors was making the most out of what they had. And that’s part of what made it such a cult hit. 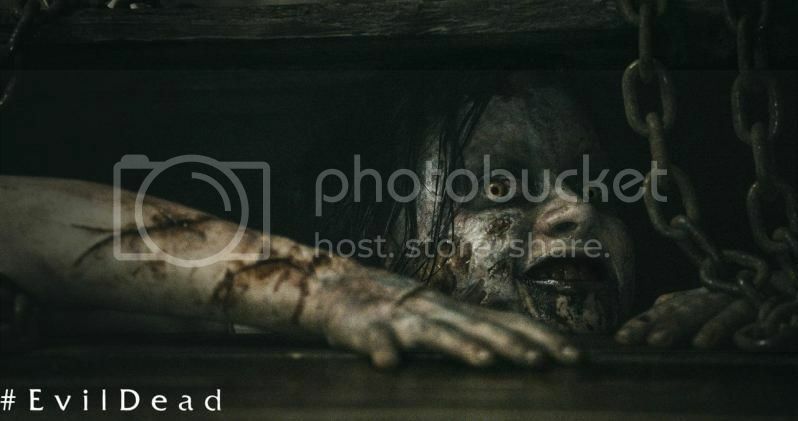 This new movie is a remake of the first Evil Dead. Bruce Campbell’s character, Ash, won’t be in this one though. This one stars a new set of teenage kids. So we’ll see how that turns out. Movie comes out 2013 in Philippines. But it's already out for US. Boo.